The Centre des Sciences Humaines of New Delhi carries out research projects in the field of social sciences that contribute towards a better understanding of the contemporary dynamics of development in India, in the regional and international context. The research conducted in “Economics and Development” is motivated by the need for more inclusive economic growth. The objective of an inclusive growth is especially important for a country like India, which has exhibited, in the last twenty years, an average yearly growth rate of 7% but where still about 33% of the world’s poorest population (as defined by the threshold of $1.90 US/day in purchasing power parity) is concentrated. Indian spectacular growth is also known to exert extremely strong pressure on the environment (soil, air, water, biodiversity…) and ecosystem services. Growth, employment and structural transformation, with a special emphasis on growth models involving micro-farms, the dynamics of labour productivities, and the challenge of new sociotechnical regimes. Research conducted in this axe address issues that concern the spatial localization of social phenomena. The research currently conducted focus on health and environmental risk. They examine how these risks result from urbanization, increased mobility, global warming, and environmental changes, among others. The research also analyze the policies designed by various public institutions (international, national or local) – notably through citizen participation, use of new technologies and Public-Private-Partnership – to alleviate these risks. The research favor a transdisciplinary perspectives that ranges from geography, virology to mathematical modeling. 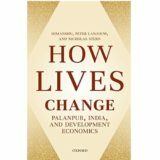 The researches conducted under this section focus on the complexities of the Indian society after liberalization. Special attention is thus given to the new reconfigurations of the political, economic, cultural and social realms and to the way these four spheres interfere one with another. With strong grounding in sociology and in political science, the researchers of this division cover areas such as the analysis of the Indian stratification system, the impact of political and administrative reforms, the role of identity-based dynamics in politics, the evolution in practices of democracy, the study of social movements, the spatial inscription of inequalities, the study of lifestyles and socialization processes, the study of Indian educational system and educational policies and other issues.